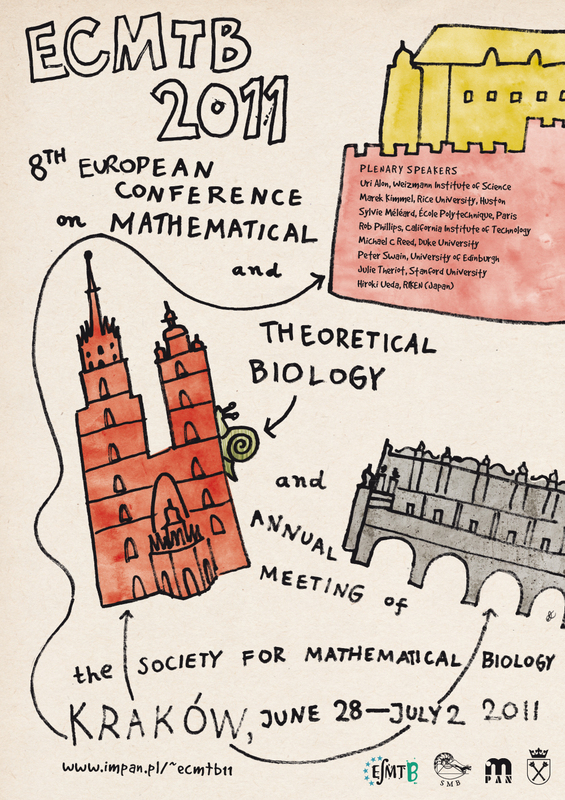 The Society for Mathematical Biology (SMB) and the European Society for Mathematical and Theoretical Biology (ECMTB) are pleased to announce the following travel grant opportunities to attend to the ECMTB 2011 in Krakow, Poland. ESMTB Travel Grants are available to members of the ESMTB at the time funds are requested. Non-ESMTB members will be eligible if they join at the time of application. Preference will be given to applicants who have been members of the ESMTB for at least a year preceding the time of application, or whose advisers have been members for at least a year. 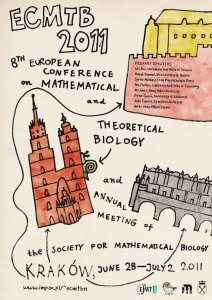 For further information, please visit: http://esmtb.org/downloads/announce_tg_2011.pdf. Application deadline: June 30, 2011. Landahl Travel Grants are available to members of the SMB at the time funds are requested. Non-SMB members will be eligible if they join at the time of application. Preference will be given to applicants who have been members of the SMB for at least a year preceding the time of application, or whose advisors have been members for at least a year. Application deadline: May 15, 2011. Applicants must be U.S.-based undergraduate and graduate students, postdoctoral fellows and junior faculty. Preference will be given to applicants who have not received Landahl Travel Grant or ECMTB Travel Grant. Travel awards are not guaranteed and will be made based on availability of funds from the NSF. Application deadline: May 27, 2011. Foundation for Polish Science provides grants for participation in international symposia, conferences and congresses for young Polish researchers. The selection procedure is run by the Warsaw Scientific Society (TNW).